Just a 350m walk to Kalora Lake and 200m from the river, this solid three bedroom brick and tile home is perfect for those buyers desiring space and convenience in a well-established and desirable location. Ideally positioned close to Yamba Fair shopping centre & transport. This home features spacious galley style kitchen and breakfast bench which overlooks a hidden alfresco entertaining area and in ground pool. Off the kitchen at one end is the formal dining area and “L” shaped living room, while at the centre of the home is the family room which flows out to the covered BBQ & pool area. The three bedrooms all with ample built in cupboards run off the hallway with the spacious main bedroom and ensuite at the end. White Plantation shutters ensure privacy to 60% of the home in conjunction with verticals blinds. The home boasts ample secure parking and vehicle storage by way of double garage as well as off street parking for small caravan / camper and your tinny at the side of the home. Located on a spacious corner block, privacy from the street is ensured due to well established gardens. The home is an easy walk to major shops, has a school bus stop just 150m away and will appeal to a range of buyers from first home buyers, downsizers and even investors. A walker’s paradise with the river in one direction and Kalora Lake & cycle way in the other, this home is also an easy level fifteen minute cycle to beaches and the main CBD area of Yamba. Contact Grant Gillies at Yamba Iluka Real Estate for further details, 0405 388 400 or 6646 2400. The suburb of Yamba is located in the Local Government area of Clarence Valley and covers an area of approximately 16.9 Sq Km. The surrounding suburbs include Wooloweyah, Iluka and Palmers Island. There are 12 Parks, a Child Care Centre and 2 Primary Schools. Currently, the median sale price of Houses, Units and Vacant Land in Yamba is $418,935 compared to $310,467 for the Local Government Area of Clarence Valley. Local Amenities include 2 Clubs, a Golf Course, a Shopping Complex, a Post Office, 5 Swimming Pools and 2 Churches of different denominations. In 2011, the population of Yamba was 6,079, with the main age group being people between 60 and 69 years of age. Married people account for 69% of the population and households in Yamba are mainly Couples with no children. There are approximately 2,575 dwellings, with the majority of these (76%) being house. 48% of properties in the area are fully owned, with 17.3% of the properties being purchased and 67% being owner occupied. The largest segment of the population are Not in Labour Force, in general those in employment work as Professionals with most people travelling to work by driving a car. 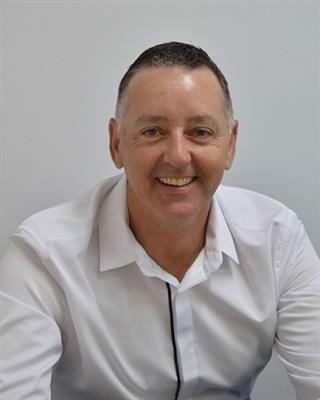 Grant Gillies commenced his real estate career in Yamba in 1989, working in the family business formally known as Nationwide Realty and later PRDnationwide. During his time associated with the franchise groups Grant was awarded numerous sales awards recognising his achievements in sales and his commitment to his clients. A licensed real estate agent, Grant is still involved in the family business which has been operating as an independent office for some years. Now trading as Yamba Iluka Real Estate, the office has maintained it's position as one of the leading real estate offices in the area. Grant is passionate about Yamba and the surrounding area's and possesses a deep seated understanding of the local property market. It is this knowledge and understanding that Grant communicates to his clients in a clear, precise and honest fashion. Knowing that it doesn't matter if it's their first home or an investment property, his clients need expert advice and assistance from an ethical agent. "My goal has always been, to be able to walk down the street and say hello to any one of my past clients, knowing I have achieved the best possible result for them"